Are you looking for a delicious lamb recipe with a difference? If you are, you’ve found it! Here’s my spicy lamb burgers with herbed yoghurt for you to enjoy. For burgers, lamb makes a really nice change from beef. These need to be prepared ahead and rested in the fridge to make sure they don’t fall apart when they are cooked, so they’re a great make-ahead meal. The yogurt makes a lovely cooling accompaniment to the spicy burgers. Light that barbecue and open the cold beers…! 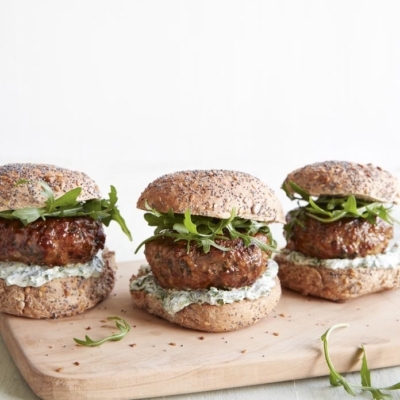 Feast your eyes on the finest spicy lamb burgers with herbed yoghurt! It’s straightforward and fun to make this great dish. Simply follow the instructions below and get the perfect result. Put the lamb, onion, parsley, carrot, paprika, chilli flakes, egg and breadcrumbs into a large bowl. Season with 1 teaspoon of salt. Using your hands, mix well to combine and shape into 6 burgers. Place the burgers onto a flat plate, cover with cling film and rest in the fridge for 1 hour. To make the herbed yogurt, put the yogurt and herbs into a medium bowl and stir to combine. Season with salt and set aside. Remove the burgers from the fridge 10 minutes before you want to cook them. Preheat the grill to high and line a large baking tray with baking parchment. Put the burgers onto the lined tray and cook under the grill for 5 minutes, then gently turn each burger and continue to cook for a further 5 minutes. Meanwhile, split the burger buns in half and toast them. 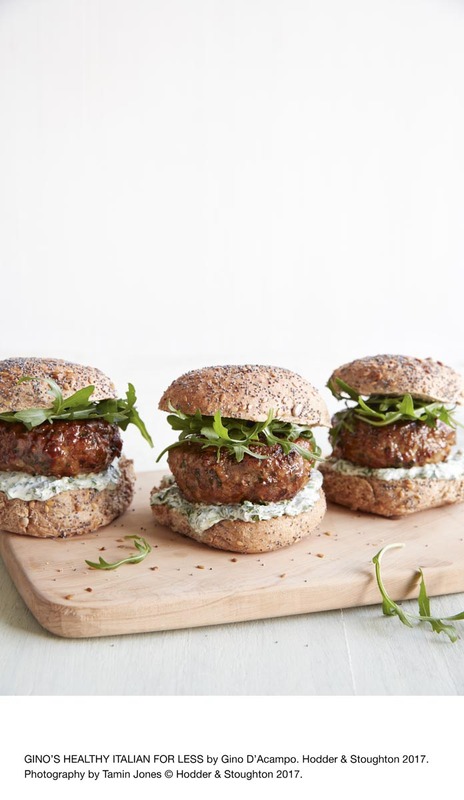 Serve the burgers between the buns with rocket leaves and a dollop of the herbed yogurt. Fantastic served with cold beers. 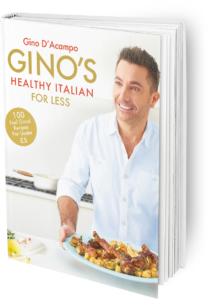 GINO’S TIP: If you’re short of time, place the burger patties in the freezer for 10 minutes to firm them up before frying. Once you’re done, simply sit back and enjoy your spicy lamb burgers with herbed yoghurt and don’t forget to check out other great authentic Italian recipes including great antipasti recipes, Italian pasta recipes, Italian soup recipes, Italian beef dishes and authentic pizza recipes.